We all live on this planet. Why wouldn’t we want to take care of it? We believe it is our responsibility as a company to be compassionate citizens of the world. We are continually striving to reduce our carbon footprint when we recycle and reuse. Awareness of environmental issues is part of our very business model. Every time you trade in or make a purchase at Bookmans Entertainment Exchange, you’re recycling. Each item that is brought through our doors and placed on a shelf reflects the decision of a single individual to take a stand against unnecessary and harmful waste. Chances are you’ve never thought of shopping for used media as a green practice, but for more than 30 years our customers have been contributing to the environment by sharing their unwanted books, music, movies, magazines, and games with the Bookmans community. 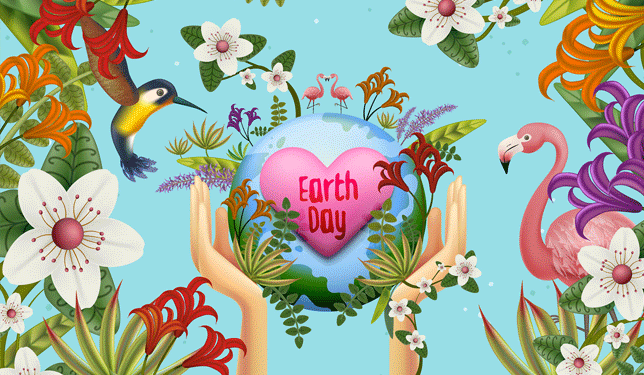 And it’s almost Earth Day! Why is recycling so important? Major Waste Disposal states that “the average American throws away 4.5 pounds of trash a day. To give you an idea of how much trash we generate here in the United States, imagine a hole the size of a football field, including the end zones. If we bury all of the trash we produce in just one year, that hole would be 100 miles deep!” That is a lot of trash! It’s time to take action today. As much as we’d like to we can’t always take everything at our trade counters. If you are ready to get started with your unwanted items but feel overwhelmed, we have compiled a list of some of the best recycling centers in the area that can help you get rid of what we can’t take. City Of Mesa Recycling Drop Off Centers – The City of Mesa offers three 24-hour drop-off location sites for the public to recycle their materials. All items placed in the recycle bins should be loose. As a courtesy to our guests, specially marked barrels are located at each site for guests to deposit their empty plastic bags once they have recycled their items. Broadway Indoor Recycling Center – Broadway Indoor Recycling Center provides its customers with the best solutions and pay top dollar for unwanted recyclable items. They are highly focused on providing environmentally sound and cost-effective solutions to all of their residential, commercial, industrial and municipal customers. SA Recycling – SA Recycling is a one-stop shop recycling center in Mesa. They accept all scrap metal including steel, aluminum, copper, tin, appliances, aluminum cans, and many other types of scrap metal. CW Recycling – Their motto, “just bring it.” CW specializes in all kinds of metals and aluminum. Waste Management -They make recycling easier by leading the way in mixed recycling. Put your acceptable recyclables in one bin and leaves the sorting process to them. Here at Bookmans, we like to say that even though our shelves are orange, our hearts are most definitely green. We are also big supporters of various green events including Celebrate Mesa. 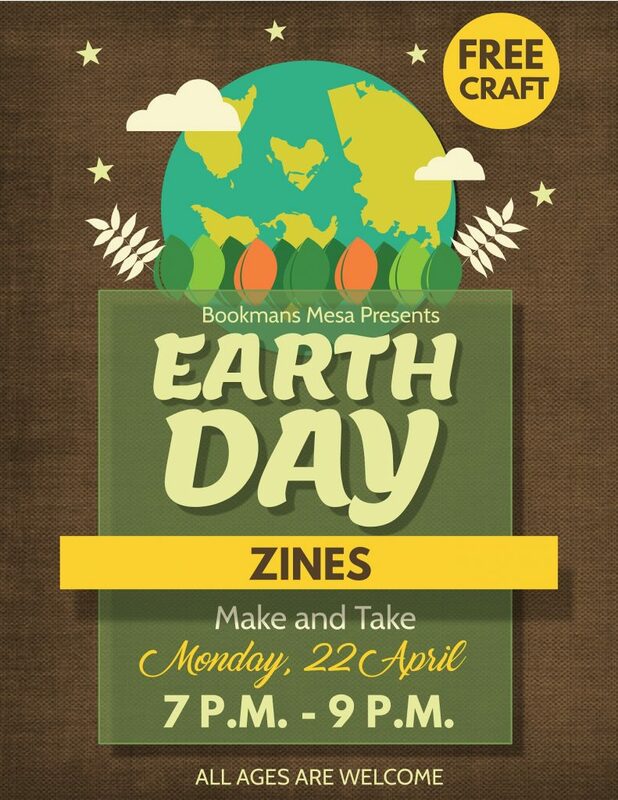 You can also celebrate with us Aprill 2nd for our Earth Day Zines Make-N-Take event and have some fun! Bookmans is good for your pocket, good for the planet after all!